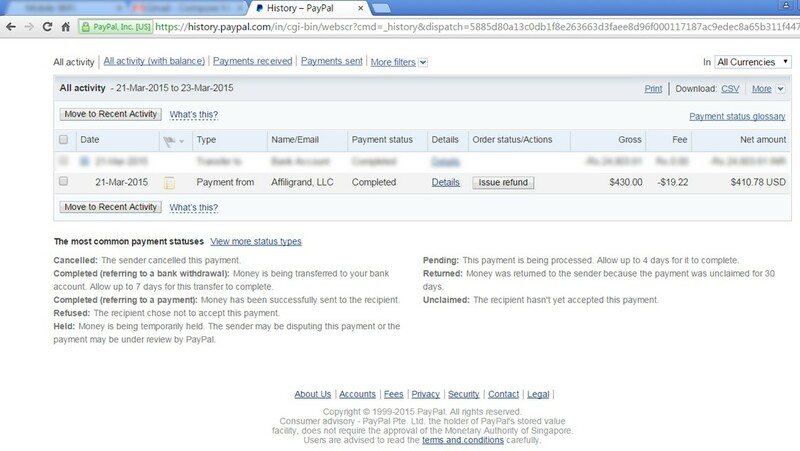 I am working with Affiligrand from the last 5 months and never have any problem regarding payout or payments. I am on Net-30, but usually get my payment by 15th of every month. 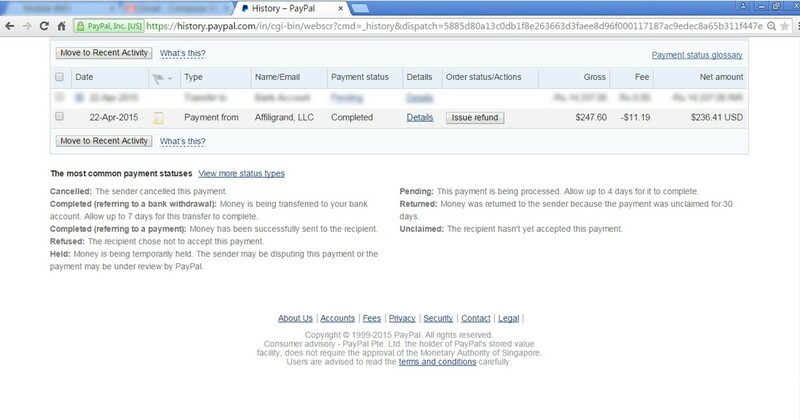 I have attached my payment proof also. Nothing new to say that hasn’t already been said but Affiligrand. I’ve just recently started up with them round 6 months or so ago but since then I have no complaints and have started running with them almost exclusively. They pay on time, there offers and payouts are tops in the biz and everyone Ive dealt with has been extremely pleasant and easy to deal with. I wish a lot more networks were like Affiligrand lets just put it that way! Affiligrand owes me over $2100 dollars. I have not been paid. The ‘gods’ that work at this network can ban you on a whim. It is ridiculous and fraudulent. What goes around comes around. Remember that! My name is Max Pinch, and I’m a Mobile Account Manager at Affiligrand Digital Ads Network. 2) If you decide to accuse us of not paying money for your traffic publicly here, I ask you to provide evidence about it, it might be screenshots of conversations with your manager where we refuse to pay, or it may be screenshot a mail where we talk about that you do not get your money! I also ask you to provide it as soon as possible because I can say that it is lies! We always pay for traffic to our publishers after the approval of all numbers by our advertisers. If you can not show anything that I ask you then I will ask the management Odigger to remove false comment about us! I do not want to lose our reputation because of the lie!!! Thank you dear Admins for good work. I will continue to please you with my traffic! I agree, this is one of the best mobile networks! 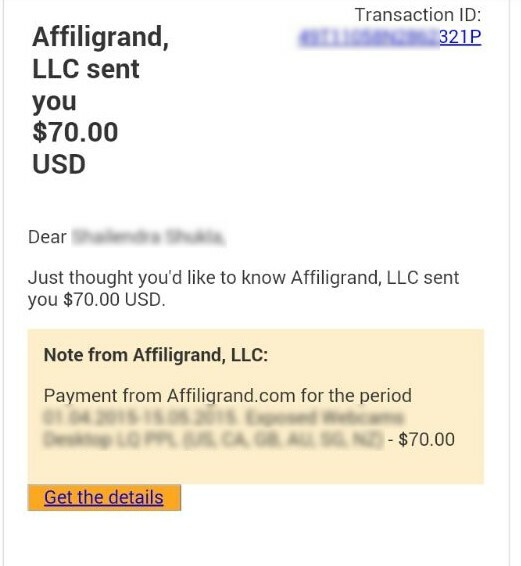 I want to say, big thank you to the whole team Affiligrand. I got next payment and i will continue work. I think this is one of the best mobile network! These guys have been treating me great since I’ve started there. I am continually surprised at how much they’ve helped me maximize my campaigns with better offer performance. It is a very nice site with a friendly staff and I just got my first payment from them! Work with the iOS / Android and all offers that interest me, I found in Affiligrand.. I want to say thank you for the work and for the opportunity to earn good money. Let’s not waste time talking and we will continue our work! It is truly a pleasure working with this group. The customer support is refreshing, too many times we find ourselves begging for a response. That is not the case with this group. They pay me higher payouts on every campaign that I run than any other ad network, which is nice. They have paid me on time consistently, and in face I have been paid early every time. 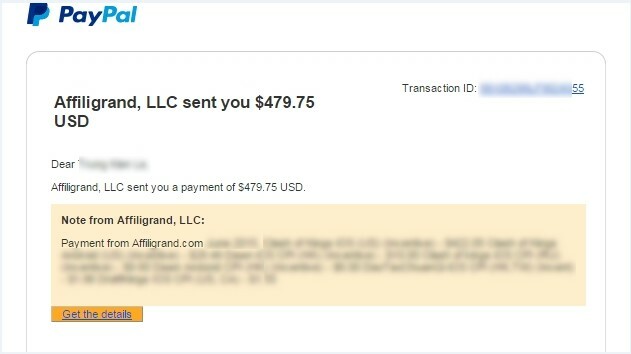 affiligrand is a great network,It comes in the top list of my all cpa networks experience. I always got paid on time. I have been with several cpa networks over the past two years and have yet to be as impressive as I am by Affiligrand. They have all the offers I need at payouts that are unmatched (at least by the 3 other networks I’m currently a part of). Their support is unparalleled. I can get in contact with my AM (Eugene Kornev) at most times of the day. Whenever he isn’t online, my emails have always been responded to within 3 hours. Since I have been with them I feel like I have reached my full earning potential. I am very pleased to be working with these guys. I wish to just go ahead and make good money! Good guys, they’ve made me a lot more than I expected. They give you what you need and help you every step of the way.Thanks you. 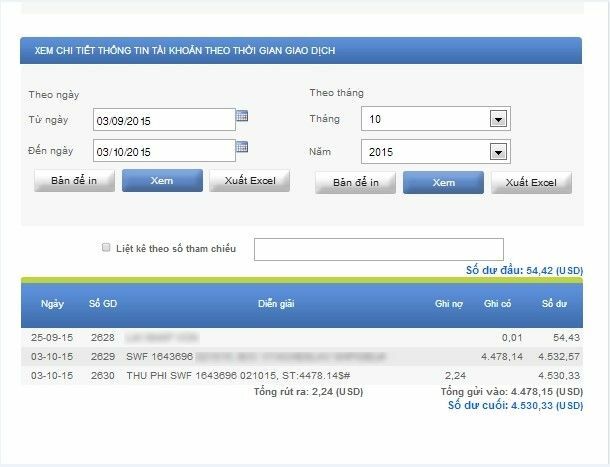 Great CPA Network! Always payout on time, customer service is fantastic. I highly recommend this to any beginners looking for a quality network. Great network with very high paying Offers Keep It UP! !